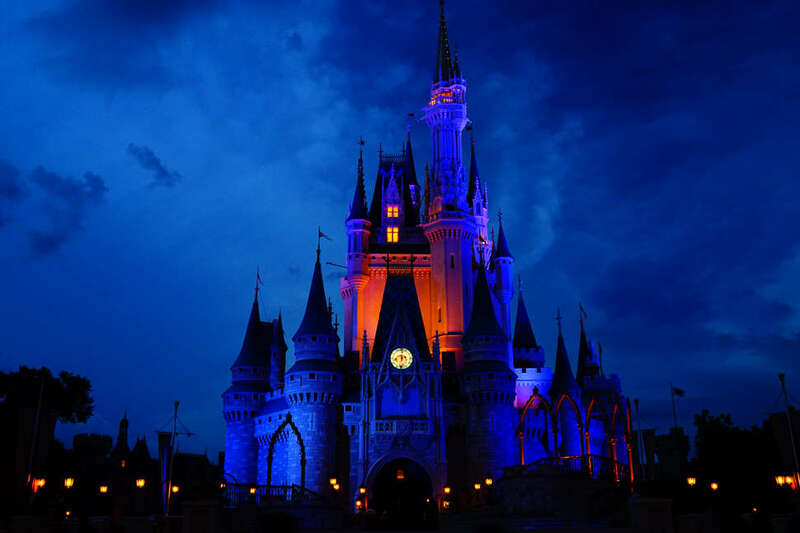 Disney World is like the Rihanna of theme parks: almost too good to be true. For most kids, it's the light at the end of the tunnel -- the ultimate destination. But as it turns out, the Magic Kingdom is also popular amongst folks who have already seen the light. That is, the place has become a beloved go-to for travelers scattering the ashes of deceased loved ones. Apparently, pixie dust and human ashes aren't so different, after all. To be clear, this isn't an isolated incident. As a report by The Wall Street Journal explains, this is happening on a monthly basis at minimum. In fact, it happens with such frequency that the saintly clean-up staff at Disney actually has a code for it: "HEPA Cleanup." HEPA refers to the sort of high-powered, delicate vacuum filter required to clear a space of minuscule particles like, say, glitter, or the cremated remains of your grandfather. "Current and former custodians at Disney parks say identifying and vacuuming up human ashes is a signature and secret part of working at the Happiest Place on Earth," per the newspaper report. "It is grisly work for them, but a cathartic release for the bereaved, who say treating Disney parks as a final resting place is the ultimate tribute to ardent fans." According to the custodial staff, human ash has been discovered all across park territory: in flower beds, on the Pirates of the Caribbean installation, in the moat beneath the Dumbo ride, and with most frequency, throughout the Haunted Mansion attraction, which is exactly what it sounds like. “The Haunted Mansion probably has so much human ashes in it that it’s not even funny,” said one Disney custodian. In spite of the fact that human ashes remain on the list of forbidden substances in the park, folks don't seem to be having much trouble smuggling them in. According to one family caught in the act a few months ago, dividing the ashes amongst pill bottles and makeup compacts should do the trick. It's just a matter of discretion during the actual scattering process. “Guests who attempt to [scatter ashes] will be escorted off property,” a spokeswoman at Disney said, though the rule doesn't seem to be much of a deterrent. This sort of behavour has to be somewhat expected in a place that markets itself as "The Magic Kingdom." On your next trip to the Happiest Place on Earth, be sure to salute a custodian for their service. And maaaybe consider bypassing the Haunted Mansion.